​SO THAT THEY CAN GROW IN FAITH TOGETHER. Voices of Praise is FUMC's choir singing the anthem on every 3rd Sunday. The choir meets on every 2nd Sunday right after church for practice. If you want to join Voices of Praise, please contact Avrille Nicholls. LIFT Band leads our contemporary worship service on every 4th Sunday. The team meets on every 3rd Sunday at 11am for regular practice. If you want to join the team, please contact Pastor Kim. meeting on Sundays at 11:30am. We pick one book from the Bible and read it through together to learn the Bible deeper and enrich our lives. We are open to ALL kinds of question, doubt, and discussion on the Bible. During this season of Lent, we are reading the lectionary readings for each Sunday. For more information, please contact Jee Hei Park. Our Nurture Outreach Witness prayer meeting invites everyone on 1st and 3rd Saturday at 9am. We pray together for our neighbors, our church, and our community. If you want to join the meeting, please contact Gloria Foster. 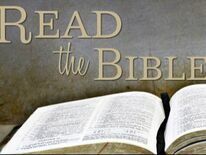 ​This is a group that encourages everyone to read the Bible. Regular meetings are on 1st Saturdays at 10:30am plus a monthly meeting for discussion. Meeting every 3rd Saturday at 11am, UMW offers its members various chances to share fellowship, grow faith, and do missions. ​A group for women & men of all ages regularly to jog or walk together at nearby parks (indoors in the winter). Come out to our monthly meeting for parents with young children. Through fellowship, food, and prayer, we surround our children with the the highest form of love (AGAPE) as we learn Christian parenting practices. This potluck group is welcome to families and friends who are pregnant or have young children, so bring a snack and a friend!